It’s worth making it loud and clear that all the calculator and historical track record figures provided include ALL charges to give you absolute transparency on the performance generated net of all costs to investors. 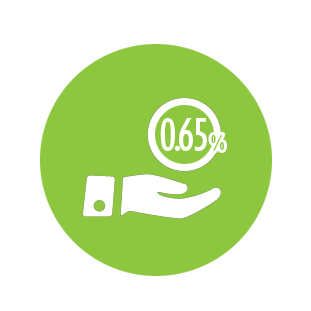 We offer managed portfolios at an annual fee of 0.65%. On an investment of £10,000 that equates to £1.25 per week. By using Greenfinch you have access to greatly reduced fund costs, compared with an individual trying to access the same funds directly. The underlying funds within a portfolio each carry an average annual cost know as a Total Expense Ratio (TER). For our mainstream portfolios this TER is between 0.37% and 0.53%, for our ethical portfolios this is between 0.46% and 0.62%. The TER is dependent upon the portfolio type and composition of the underlying investments, and may fluctuate over time. All fees are settled via your investment account balance to ensure there is no need to tie up additional cash. This allows the maximum amount of your portfolio to be invested. Minimum investment of £100. For investments above £200,000 please contact us. 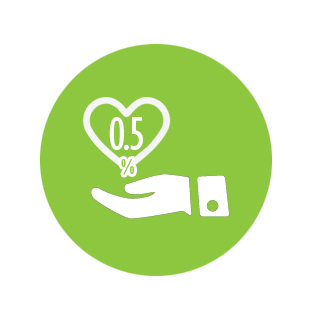 Instead of charging you to open an account, we give you the option to donate 0.5% of your initial investment amount to a charity of your choice. Just select the option in the account opening process, nominate your charity, and we will ensure that your charity receives your donation, as soon as you fund your account.